This fabulous jumper is exactly what your wardrobe needs this season. 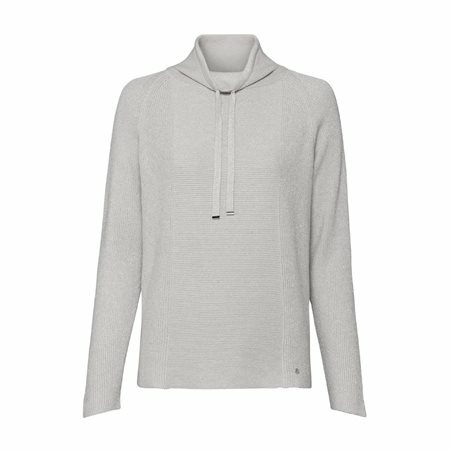 This jumper is very modern with its high neck collar and drawstrings giving it that casual look. We loves its rich creamy colour with silver glitter scattered throughout dressing the jumper up and adding a touch of glam!